Custom Blocks, Items, Entities, Menus, and More! Ever wanted to add a custom block? Perhaps a special tool? Or even a creeper that you can tame? This suggestion is for you! Due to how the formatting messes up and takes a long time to fix, I am leaving the NBT tags as the tag itself and nothing in <>. Map makers are only limited by what Minecraft has to offer. But what if they can easily code their own blocks that are just there? Not a block like beacons or anything but just there like stone or bedrock? To clarify, this will not be like "Add 100 more placeholder blocks and items" as I have a different sort of idea. Another thing, these blocks would have to be the dreaded tile entities which are like chests, furnaces, droppers, etc. So a lot of these might lag the game, but I am just pointing that out. So how is this stored? Have you heard of scoreboard? Scoreboard stores all the values and scoreboard in a data file. So what I suggest is adding one placeholder block and one placeholder item that would have a lot of functions. There would be a new folder in the world folder called "Customs" which would have two data files: one for the blocks and one for the items. It would then send the data to the client (If in multiplayer) and the client would render the code sent. This way, it is compatible with both singleplayer and multiplayer. So...What are the NBT Tags? Well here it is below. The first one is for the blocks and the second one is for the items. Particle = Block particle seen when landing on the block or mining the block. StepSound = Sound heard when stepping on the block. BreakSound = Sound heard when breaking a block. Sound = Sound file name. Pitch = Pitch of the sound. Texture = TextureRender = Show texture of an item currently in Minecraft or a PNG File in the folder "Customs"
Texture = Model = Enable or Disable 3D Models if the block is an item currently in Minecraft. Uses true or false. Texture = Cross = Enable or disable the texture as a cross type of texture. Sand = Enable or Disable sand physics. LightLevel = The light level of the block. BlastResistance = The resistance to a blast. Mining = Information about mining the block. DefaultMiningSpeed = Default mining speed. Tools = Specify the items that can be used to mine the block. Unspecified items have the default speed. DropItself = If true, it will drop the block in the specified amount instead of having to type out the whole command a second time. DeathLootTable = Incorporates the new loot table feature. To learn more, read the gamepedia. NoClip = Walk through the block. SlowDown = Slow down as you walk over the block. If combined with no clip, it functions like a cobweb. Portal = Frequency = hat portal block this teleports the player to. If more than two have the same number, then you are given the option. Portal = Time = How long it takes to get to the other portal (In ticks). ClickEvents = id = Minecraft item. If none is specified, it will use any. ClickEvents = Command = Command ran when the block is clicked with the item. If not OP, use the trigger scoreboard type. Death = Specifies the death message that appears if you get killed from it. Death = Damage = Damage dealt, like a cactus. Death = DeathMessage = Basically the json text format. Using %s is the variable for the player. Default is message is Player was killed. BreakEvent = Same as ClickEvents but triggered upon the block being broken. It doesn't use any IDs. Cooldown = A cooldown of "attacking". Leaving it at 0 sets it to the default. It prevents the player from attacking with the item for X ticks. CooldownInstant = If true, players that attack with this item in the last fifth of the cooldown (i.e 0.2 seconds of 1 second) will attack instantly when the cooldown ends. OnPower = If powered by redstone, it activates the commands. Orientation = The model or texture of the block used when the block is placed on the top of a block, bottom, etc. Towards is towards the player, left is to the left of how the player placed it, right is to the right of how the player placed it, away is away from the player that placed it, above is above how the player placed it and below is below how the player placed it. An example for placing from below (Player looking upwards) would be that the bottom of the block would be the towards side, the top would be the away side, left and right would vary depending on the player's view, as well as Above and Below. Orientation = OrientationTrigger = If true, the click events and such are only activated from the corresponding Orientation. Name = The original name of the block or item. Just to clarify, the pressure plate versions can only be triggered from the top. If in NoClip, they can be triggered by walking through it, They also have the same delay. Portal blocks are automatically no clip. For 3, it would display similar to a carpet. For 4, it would display like a flower pot. For 5, it would be like glass panes. For 6, it would be like a portal block, which is essentially a thicker glass pane. For 7, it would act like a fence as well as having the extra invisible half block at the top. These are damage values that can be manipulated to create full blocks, slabs, stairs, and carpet type of blocks. Texture = Model = Enable or Disable 3D Models if the block is an item currently in Minecraft. Name = The natural name of the block or item. CanBlock = The item can block. CanTakeDamage = Can take damage. Enables the durability bar. At this point, you should have noticed that I haven't explained the Pixels tag. It allows you to assemble a texture from within the game. Color is the color code and the coordinates is the location. Now there is also the ModelRender tag. Copy and paste the contents of a model json file into the ModelRender area and you can assemble a model. A problem arises with the list of tags- right click. I made a list found below that shows how you could access each part. Hunger - Hold right click. Potions (Drinkable) - Hold right click. Potions (Splash) - Right click. Bow - Hold right click. Now the priority list is below. Projectiles, Potions (Splash), and Triggers. With the priority list, edible food that are also potions can be used as potions and food, but if they are also a bow, it would only be used as a bow. This tag allows for the ability to have limited uses on an item without using some fancy trickery. This revamps the whole durability system. If set to an item, then every time the item is used, one durability goes down. DurabilityMax | DurabilityMax is the maximum amount of durability that an item can have. Durability | Durability is the amount of durability the item has. If it exceeds the max durability, it will be at full durability. RepairItem | Item required to repair the worn down item. This revamps durability so it frees up damage values. Normal items could also make use of this, allowing for a lot of uses. This tag allows for any item to become edible! This revamps the food system. Has no effect on cakes. Hunger | Hunger is how much Hunger points that can be filled. Saturation | Saturation is how much saturation is filled. Hunger is completely revamped so you can change a lot of food items and even make new ones! Change how much items that can be stacked at once. StackMax | StackMax is how much items that can be stacked in a single stack. Allow for more redstone contraptions to be made easily. This tag allows for any item to become armor. ProtectCount | How much protection is added. Helmet/Chest/Legs/Boots | Self explanatory; define the type of armor it is. This tag allows for any item to become a potion. Type | 0 is drinkable and 1 is splash. Active Effects | The potion effects applied. Dropped | The "glass bottle" if it is drinkable. Custom potions with custom buffs and such. This tag allows for custom bows! Drawback | How long it would take to fully charge the bow. Arrow | What is used as the arrow. Rapid fire bows, more bow types, etc. This tag allows for any item to become a projectile. Type | 0 is snowball, 1 is fire charge, 2 is enderpearl, and 3 is eye of ender. Damage | If Type is 0 or 1, then this tag is valid. Deals an amount of damage. Tracking | If type 3, then this is valid. 0 is strongholds, 1 is nether fortresses, and 2 are desert temples, jungle temples, ocean monuments, etc. If set to 0, then the item can be used in the End Portal. DropChance | 0 is none, 1 is 100%, and 2 is normal chance. Only valid if Type is 3. 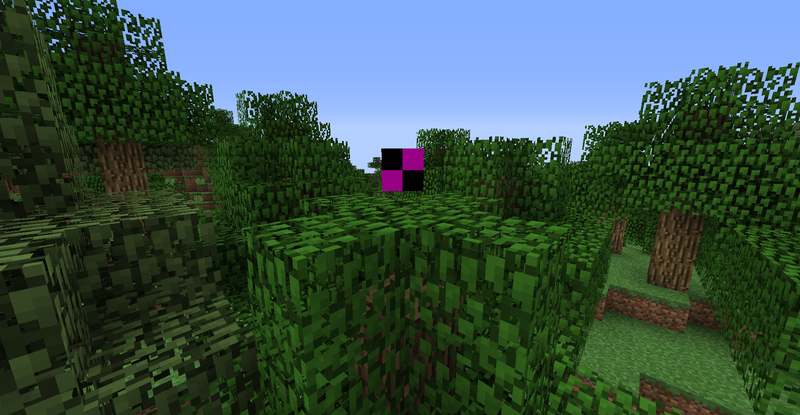 Custom enderpearls (Also works in Creative Mode), eyes of ender, etc. This tag allows for a command to be triggered if the item is clicked. Command | The command that is being ran. However, for non-OPs to use this, it needs to be linked to a trigger scoreboard objective. If left, it is a left click command. If right, it is a right click command. A much more modular system is my Clickable Items, Blocks, and Entities suggestion. This tag allows for any item to become enchantable. Enabled | 0 is false and 1 is true. Type | 0 is head, 1 is chest, 2 are legs, 3 is feet, 4 are tools, 5 are swords, and 6 are bows. This can easily be added with the correct coding. This is incredibly useful as we can have custom blocks. Now, how do we get them? How Do We Get These New Customs? It is simple: Just use /give and use the above tags for it. Now, after explaining blocks and items, what if there could be custom entities? Imagine making a zombie with a pig AI. Imagine making a chicken with a tamed wolf AI. The possibilities are endless. They are stored in the world itself. The textures are the only part of the entities that are partially separate. In 1.9, entity models are coming. The texture system here would utilize it. Texture = The mob texture. If none is specified, it is, by default, a missing texture box (or the white one, or just a plain white box! Vote in the poll!). File = File name for the model. Hitbox = 0 is a one block hitbox, 1 is a 2 block hitbox, 3 is a horizontal 2 block hitbox, 4 is a 3 block hitbox, 5 is a horizontal 3 block hitbox, 6 is a 2x2 block hitbox, 7 is a horizontal 2x2 block hitbox, 8 is a Wither hitbox, 9 is a Ender Dragon hitbox, and 10 is a ghast hitbox. TamedTexture = If specified, the model is changed if the mob is tamed. TameItem = Item used to tame the mob. If none is specified, then the mob cannot be tamed. TameRange = The range of the amount of items needed to tame the mob. ProtectOwner = Protects owner if true. Scare = Scares the specified mobs. BreakBlock = Breaks the specified blocks. PlaceBlock = Places the specified blocks. ______Area = Define the area where the armor will show up and where the items will appear, assuming that 1.9 will allow players to do this. Hostile = The mob is hostile if it is true. BurnsInDay = Burns the the day if true. CanExplode = if true, it can explode like a creeper. CanTeleport = Teleport like an Enderman. CanFly = Flies like a ghast. Aggro = If ture, the mob will become hostile if hit. Particle Effect = Plays the specified particle effect. Does what the /particle command does. Throws = Throws the specified item. For potions, it uses the splash effect and for projectiles, it fires it, as well as fireballs. FireBow = If true, it can fire a bow. WaterDeath = Dies in water if true. AirDeath = Dies in air if true. LavaDeath = Dies in lava if true. KeepBlocks = Destroys the blocks the are not specified, similar to an ender dragon. CanRide = If true, you can ride the mob. CanEquipArmor = If true, you can equip armor onto the mob. Armor = Specify the armor. Utilizes the Protection tag from earlier in this suggestion. Target = If hostile, it will attack the specified mobs. If tamed and has ProtectOwner set to true, it will attack the specified mobs. Lightning = Contains a secondary version of all entity tags. Changes those tags to the ones in the lightning portion if the mob is struck by lightning. The mob will get a blue glow over the whole model. Gang = If Aggro is on, then it will function like zombie pigmen- they gang up on you. Loot = The items that the custom mob drops. DeathMessage = The message given if you are killed. %s is the player and %d is the mob. Elytra = Can use elytras. Rideable = The number set is how many players can ride it. That pretty much explains the mobs. It is not possible to get an image of the mobs at this time. In addition to these tags, they would also use every single mob tag! To make the mob deal damage, change their speed, etc, you would need to use attributes. It also includes the new Loot Tables mechanic in 1.9. So, you are playing on a server hub and you really like the some of the GUIs. You decide to remake it in your redstone world. But then you realize, it won't look the same. That is why this part of my suggestion exists! add/remove/edit/show/off = Add, remove, or edit the the GUI. Showing the GUI will force it to open. It cannot be removed if ScreenVisible is true. Using off will force it off. player = The player. Only used if the above is set to show. GUI Name = The name of the GUI. It doesn't show up. CustomName = The name of the GUI. It will display on the top, like a renamed chest. GUI = Coordinate = The location of the slot. The whole screen is a grid. I'd say it would be about 64x64 "slots". GUI = SlotType = Make crafting table slots, furnace slots, and brewing stand slots. The names are Craft_<0-9> (9 is the putput slot and 0-8 are the inputs, from top to bottom, left to right), furnace is Furnace_<0-2> (With 0 being the fuel, 1 being the item being smelted, and 2 being the output), and Brewing_<0-3> (0 being the potion ingredients and 1-3 being the outputs). Using Inventory_<Slot> can move the slot. You can also remove hotbar (Hotbar.0-9, with 9 being the offhand and 0-8 being the main hand) slots, but not move them. GUI = OnClick = Clicking the item executes a command. GUI = Item = The item in the slot. Modify = Change the item in the slot. OnClick doesn't conflict with this. ScreenVisible = The slot is visible on screen. For maps, it would display a map. Inventory = The slot is in the normal inventory. RealMenu = Display it like the options on the title screen. So, you want to obtain a custom item or block through custom crafting, brewing, or even smelting. craft/smelt/brew_name = The name of the recipe. The name goes after craft/smelt/brew_ and you need to define the type of recipe it is. Inputs = Inputs to the recipe. This is just the Items tag in the dispenser and such. Inputs = Slot = The slot the item uses. It is always starting from 0. In crafting tables, it uses slots 0-8 if it is a crafting table. It uses slot 0 for smelting. For brewing, it also uses slot 0. Output = Your output item. This is a copy and paste from another suggestion of mine that got over 100 supports. From here on out, all of my own custom _____ suggestions will be located here. Select a dimension type. Preset types are Overworld, Nether, The End and skylands. The skylands will just be overworld generation in the form of The End's island. All the settings of super flat is here. Select a version specific generation. Please vote in the poll for the specific versions. Post what version you would like to see if you select the "Other" option. Determine if there should be Snow, Rain, Snow and Rain, or None. Activate the next few pages. If set to True, it will activate the rest of the options related to generation, portals, etc. If False, the world will be a normal Minecraft Overworld/End/Nether/Skylands with the normal random generation. The default dimensions will have the Secondary ID of 0. Typing an ID other than 0 will execute that ID onto every player in the dimension with the specified Secondary ID causing separate inventories and separate chat (More on that later). (Example: The default dimensions have the ID of 0. In a new dimension, setting it to 1 will make the player use a new inventory for any dimension that has their keep inventory option set to 1). Decide if spawn chunks of a dimension can load in a certain way. Always is the chunks are always loaded, inside is only when a player is in the dimension, and never is never. Decide if trees spawn. Has a toggle for every type of tree, rarity, biomes it can spawn in, etc. Decide if passive mobs spawn. Has a toggle for each passive mob, their rarity, biomes they spawn in, etc. Decide if hostile mobs spawn. Has a toggle for each aggressive mob, their rarity, biomes they spawn in, etc. Decide if Villagers can spawn. Has a toggle for each type, their trades, rarity, etc. Decide the world height. This cannot go above 256 blocks. This determines the world border. The options to this are the same as the normal world border options. Determine if water can be placed. Determine if lava can be placed. If false, no one can light TNT. Decide the size of the world, like 6x6 billion, 3x3 billion, 100x100, etc. Max is 6x6. Integrates Mart_b77's suggestion nicely. Using RGB, you can modify the sky color. Using RGB, you can modify the cloud color. Using RGB, you can modify the fog color. Enable the use of beds in the dimension. Options are: True, False (No Explosion), and False (Explosion). Define the block ratio. The first slot is the amount of overworld blocks and the second slot is the amount of dimension blocks. For every X overworld blocks, there are Y dimension blocks. The next page is dedicated to define a way to enter the dimension. If true, you can create a portal. If true, you can expand the portal like with Nether Portals I scrapped this idea because it would require way too much values and calculations. If true, you can sleep in a bed to get to the dimension. Clicking a bed will also get you out of the dimension. Select the percentage of reaching the dimension. If there are multiple dimensions with this, a GUI will pop up asking you which one to go to. All these settings can be made before the world is created, just click next page on the second page of the world creation screen when creating a world. You can edit dimension properties from the GUI from the dimension creation command. Modifying the Keep Inventory part will delete all player files of that custom dimension. You can teleport to dimensions. This teleports you to the the dimension's world spawnpoint. Set the spawn of the dimension. All means the dimension is the main dimension and Only means just the spawn of that dimension. The cooldown time after creating a dimension. The default is 60 seconds which is 1200 ticks. Decide if everyone or just OPs can create dimensions. You can select the maximum amount they can make. If set to Everyone, non-OPs are required to make a portal to the dimension or to use a bed portal. Does not need to be set to everyone if cheats are on. If the number isn't specified, they can only create one. If set to true, all the chat will be in one box. If set to false, each dimension will have their own chat. Even if set to false, dimensions with the same Secondary ID will be able to chat with each other. Add a resource pack to the world. Leaving the dimension and joining the same dimension will put up the prompt for the pack if you are already in it. Leave the link at Default for the default textures. For Priority, 1 is the top layer, like in the Resource Packs menu. Each dimension would only target the players within it- excluding the Overworld ,The End, and The Nether, which can communicate with each other with selectors. But if using the new selector parameter dimensions, you can target players in dimension X or Y. You could use IDs or names. Alternatively, you can use the built-in dimension NBT tag. using the number -1 would target every dimension. If using the other option called SecondID, you can specify players that are in dimensions with a Secondary ID of X. Using the number -1 will target every player in every dimension. Execute the command in the specified dimension. In /clone, x1 y1 z1 and x2 y2 z2 are executed from the first dimension listed then cloned into the target dimension. When you are in the single player world selection screen, select a world. There would be a button called "Copy as Dimension" (This only copies the world files, not any player files). When clicking "Copy as Dimension", you can select a world. The copied world will become a dimension in that world. If the PC supports it, the game will run the dimension generation while you play. If the PC doesn't support it, the Generating World menu will play on the screen. Expect an FPS drop while playing when the dimension creation is happening. This isn't a recommended option. Smaller worlds or worlds with less features on will be less intensive. However, exiting the game will end the generation and the game will not attempt to restart it. However, upon entering the world, you will be told that the generation has been cancelled and you will be given the preset code to restart the generation. For servers, the preset is given to the player who made the dimension. if the cooldown time is still running, trying to create a dimension will add the dimension to the end of the queue. Create dimensions when you are starting a new world! Includes every single option! On servers, this isn't an option. In 1.9, we are getting an entity model system like with blocks. In the GUI, you would be able to specify which models you would like the entities to use. This also goes for block models as well. If the player doesn't have the resource pack, they will be asked if they want it. You would also specify the rarity of these models. You can select if mobs can spawn with potion effects, attributes, armor, weapons, tools, etc. You can also select from a range so the dimension can provide a vanilla "modded" experience with custom mobs. You can modify the NBT data of the mobs as well so they can spawn with player skulls. You would specify the rarity of these mobs. You can easily drag and drop a world into the World folder. Each dimension is in a separate folder. Easily drag and drop a plugin in here for world specific plugins. If you just drag and drop a plugin into the Plugins folder- not any of the worlds folders- the plugin is applied to all worlds. Note that this is obviously not part of the vanilla side suggestion but this is mainly a concept that could be created through the Sponge API if this suggestion ever gets added. You can have multiple worlds to go to on one save. You can have custom dimensions for servers. Custom portals that can also be three dimensional! Create custom dimensions when starting a new world! If set, survival players can create their own dimension with a portal access to it. Separate chat rooms for each dimension (excluding the defaults, which all have the same secondary ID), and inter dimensional chat! Enchantments are a very good thing, but seeing newly added enchantments are rare. create/edit/delete = Create, delete. or edit enchantments. enchant_name = The enchantment name. MaxLevel = Any values from 1 to 10. EnchantLevels = Level = This is what level requires what RequiredLevels is. EnchantLevels = RequiredLevels = This is what the level of the player is required to get the enchantment. Incompatible = What enchants that this isn't compatible with. Trigger = OnHit/OnUse = Command = The command that gets executed when the enchant is used. For armor, OnHit is when they get damaged. Yes, because this is definitely needed. Maybe needed. Not needed? add/remove/edit = Add, remove, or edit chat rooms. chat_name = Chat room name. NameColor = The color of the name. Location = XYZ,DX,DY,DZ,Dimension = The location. X Y Z DX DY DZ are used for coordinates while dimension is used for each dimension. OnJoin = Command = The command that happens when someone joins the chat room. It appears for whoever joins. OnLeave = Command = The command that happens when someone leaves the chat room. It appears for whoever leaves. Yes, again, we need this. add/remove/edit = Add, remove, or edit commands. Subsection = Name = The subsection, like objective in /scoreboard objectives. Subsection = Subsection = Subsections for Name. Command = Command executed when the beginning of the command is used. For non-OPs, it will only work with /trigger. Introduced with 1.9, this would utilize the structure blocks. x y z = The area that the structure will occupy. add/remove/edit = Add, remove, or edit structure information. part = The part of the structure being generated. Dimension = The dimension it generates in. Frequency = How many generates. Size = If it can be bigger or not. Space = How many blocks are inbetween each structure. Random = If the structure can be randomized. DeathLootTables = Loot that generates in any chests located within the structure. ConnectTo = Name = The name of a part of the structure that is always next to ____ part. ConnectTo = Direction = The direction it can be in, 0 for North, 1 for east, 2 for south, 3 for west, 4 for down, and 5 for up. Place a number at the end of Direction (1-5) to determine the amount of directions that it could generate in, according to the previous part. MIN/MAXYLevel = The Y levels this generates in. Mobs = The mobs that spawn here by default regardless of light levels. It generates as a json file. Yes, as generating custom items and the likes are actually very important. custom_item/block/entity = Choose the generation option. Quantity = For items, it doesn't matter. 0 means none. For blocks, it means how many blocks spawn in a vein of ___. Again, 0 is none. For entities, it is the amount that spawns at once. Again, 0 is none. min/maxylevel = Not required for items, default is 0. For blocks, it is what max and min y level it spawns in. For entities, same thing. Using ~ means none. Rarity = How rare this is. Cannot exceed 100. Biome = What biome it spawns in. InEntity = If the entity is holding the item. True or false. Does not work for blocks or entities. Dungeon = For items, as loot. For blocks, as loot. For entities, as the spawner itself. add/remove/edit = Add, remove, or edit the biome. Texture = id = The block or item texture being changed. Texture = Texture = The texture that said item or block is being changed to. CanRain/Snow = If it can rain or snow. VillageSpawn = CanSpawn = If the village can spawn. Materials = id = The blocks being used in the village. If left blank, the default is used- planks. Structures = NBT = The .nbt file in the structures folder for resource packs being used for generation. For servers, a resource pack with the correct structures folder must be the primary. On servers, the players won't need the resource pack. Rarity = Biome rarity. Cannot exceed 100. In Minecraft, you can only go so far. So what if you want your Minigame or Map to have special slots? Perhaps you wish to resize the crafting GUI, add a Furnace GUI, or even remove slots. This suggestion is for you. This suggestion changes the whole of the inventory. Imagine the ability to have more armor slots. Perhaps you can have extra arrows slots for that quiver. Maybe even smelt items as you move! Perhaps have a minimap appear as you are in your inventory! Whatever the case, this is for you. A very simple idea- move the GUIs as if they were windows. Simple enough. Though, this could conflict with Custom Slots (See II) but it could easily be fixed by resetting the inventory position when you exit the GUI. This would lock onto the coordinate system to prevent any issues (See II). Perhaps use the arrow keys to move it around with a keyboard. You would also be able to separate your inventory from the rest of the window, as well as the chest GUI, the furnace GUI, etc. The player picture can also be moved. So...how would one go about adding new slots? Through a new ID system of course! Each slot has an ID: 0-35 and 100-103. That leaves slots 34-99 open, which is approximately 50+ unused slots! But some of those 65 slots will be used so as a heads up, there will be at least 100 extra slots not counting the ones I have identified. The below is a list of the IDs. The first IDs are the Primary IDs, which are for the player's inventory and the second are the Secondary IDs which are in blocks. Secondary IDs are used in commands like /blockdata, /setblock, etc. Slots: You can read three lines, right? Slots: Read the three lines. Enchantment Table Slot. Unlike other slots, this is a full GUI condensed into 5 slots, with three of them being required. 66, 67, and 68 are required for this to work. A feature of the Dispenser and Dropper IDs are that if you trigger any redstone device, an item from a dropper or dispenser slot will fire in the direction you are looking at. It will repeatedly fire if you are on a pressure plate. The positioning of these slots depend on a coordinate system. The screen will be divided into hypothetical slots, like a coordinate system. When moving the GUIs (See I), it would snap onto the grid. Really, nothing else needs to be said here, except for the freed slots. Yep, way more than a hundred, and they are used for some features I have yet to say (See III). Please read Section 2 before heading on. It has vital information. So how does one get access to the slots listed (See II) in Minecraft? It is simple: a few commands. So here is the command list and what they do. Adds the selected ID to the specified player's inventory. The X and Y position are not required for crafting IDs. The Furnace slots move together. The dispenser slots move together. The dropper slots move together. Alternatively, you could use Dropper, Dispenser, or Furnace instead of the ID. Setting it to Large, Small, or Normal will use the X and Y positions for that GUI Scale and it will adjust it for players who have a different size. You can also set the slot to display a map window when you place map in it, same with a compass or a clock. The whole slot will expand to fit the new window. Clicking on whatever is in the window will take out the item. You can also specify what items can go into the slot. If set to Display, the slot will still appear even if the inventory isn't open. If set to Open, it will only appear in the inventory. If set to music, it will play a music disc as if it were a jukebox. Only you will be able to hear it. Enchanting Slots move together. Removes the Slot ID from the specified player. You can use words like Furnace, Dispenser, and Dropper. Removing a slot will keep the slot there, but it will be resized to a size where you cannot see it or interact with it in any way. Any items in that slot will be dropped. Edits the position of the specified slot in the specified player. You can also lock the window in place. You can also edit the base scale. If specifying a second ID, it will link them so you get part of a grid. You can link to the main inventory or the armor slots. You are required to specify what side of the first slot it is on. The window text is optional but it says whatever you want it to say. Allow the specified player to edit their inventory completely, with add slot buttons, remove slot buttons, etc. You can also disable it for players. Players can edit the layout of the inventory, but they cannot add, edit, or remove Slots. The commands are fairly simple and works surprisingly well. Hotbars could also get their Slots removed, by using Slots 0 to 8. They cannot function as any special Slot, only as a normal slot. So, is there anything else you want to know? Probably. In other GUI sizes, the X and Y positions automatically adjust to it. How you ask? It simply checks if the X and Y positions are set to Large, Normal, or Small. Full 3x3 crafting in your inventory. Sharing customs are a easy as making a loot table! Custom = Type = The type of custom that is being used. Generate = The generation options like biome, weight, etc. It also includes stuff like the slot in the creative inventory based off of a X and Y grid. NBT = The custom data. WORLD/data/Item|Block|Entity|Biome|.../custom/ is the location of the files. The default texture would be a missing item texture. I am aware the the Plugin API is being added soon but I imagine this very concept being used in conjunction with code to create something extremely powerful. Q: Would this lag the game? A: It depends on how much the client can handle. Theoretically, it should be handle to handle this. Q: Could this use separate models? A: Yes! Just specify the model name and it should be rendered. Q: It seems liek all of these can be used for customizing non-"custom" items. Is it for those items too? Q: How would the AI work? A: The AI would be based off of existing AI. It won't be able to simulate a player, but it would be close to it. Q: What are the limits? A: There are no limits! Q: Would this conflict with existing recipes? A: Yes, it would sadly. But it would be helpful; for removing recipes like a tnt recipe. Q: If used in conjunction with Spigot or Sponge Powered, can the plugins work on separate worlds? A: If the API supports it, and if the plugins do, then yes, it could happen. Q: Will this "kill" bungee servers? A: If the developers want to. Q: Will this kill Multiworld and other plugins like that? Q: Can this be made in survival? A: Portals can be used to transport players. Q: Can you copy world files? A: Yes, the game will automatically register it upon loading the server or single player world. Q: Can I create a mod about this? A: Sure! Just link back here and give me credit for making this idea, but not the mod! Q: Will the Customize World settings have the generation settings and such? Q: Can I use /enchant with these? Q: Can this be used to create a server hub in one server? A: In conjunction with the custom dimensions portion, then yes it could. Q: Can you share these easily? Q: Can this cause lag? A: Yes. However, it depends on the spawn rates. Q: What are the NBT parts? A: The .nbt files were added into the 1.9 snapshots and make use of the structure blocks. That allows for a lot more flexibility in what could be generated. Q: How would resource packs handle it? A: Resource packs handling of the inventory management will have to be drastically changed. There would need to be a texture for every slot. Like the idea? Copy and paste the banner! Banner made by Shaddura. Formatting was messed up a bit. Fixed it. I think I would use this very often as i usually need some more blocks when I make my maps. I didn't read everything, as I am still learning command blocks, especially NBT tags, but I can see myself using this. Also, with the 1.8 addition of locking the containers, it would be cool if we could make custom keys. Oh man, you formatted that post like a king. Feel good about that. I support. This is very close to being in the suggestion hall of fame. I dunno. It might just have a spot in there. It might be a wee bit off though, I'm not entirely sure. Anyway, this is a pretty genius idea, and you managed to make it different than the oversuggested, overdone "[huge number here] placeholders,". I feel very good about my formatting. The only times I feel bad is if MCF messes it up. It was originally posted on May 15th. It took me hours to make it. It really is. Usually, I see suggestions like those and I decide if I could make the whole concept much, much better. I also posted a poll about naturally spawning custom items, but not blocks. The formatting, core idea and explanation of this suggestion are all perfect candidates. However, the guidelines require that the thread have some beautiful custom images as well. Ah yes, the images. Honestly? There is literally nothing to show. I should point out that the default texture of these blocks would be missing texture blocks. For the items? Missing textures. EDIT: Pictures of two potential images have been posted. Vote in the poll for which one should be added! The images could possibly be simulating custom blocks and items with the help of a resource pack. I'll gladly help you out if I have time, as I see a lot of potential in this thread. Just don't expect too much from me, I'm not a natural. Thanks, but I already got two potential textures, although I'm leaning towards the missing texture. This is a good idea, but needs some fixes. The block type 5 is useless, because any block with light level 1 or more could become a light source, even levers and double chests. There's no need to forbide that. Alright, this would be better. This also includes drops. When the array of drops is empty, it depends on the itself drop chance. It can drop itself or nothing. This allows using any item as a tool for mining. Okay. I am going to incorporate parts of this. The tool mode is useless. When is the item a projectile, then the "projectile" tag is defined. When is the item a food, then the "hunger" tag is defined. Saying what the item is supposed to be is an useless restriction. Without this restriction, an item could be edible, work like arour and a bow all at once. I know, that edible armour is quite senseless, but this is would be most likely creative-only, so it could have an usage in some maps. The problem is the right click priority function. For their in-world generation, I think, they should be used only few, if any. They could be used in dungeons like generic-behaviour (sometimes mad) blocks and items, for example, burning levers, mellon armour, ender normal chest, falling dirt, enchantable cookie etc.. They need a very generic behaviour if they generate in the world naturally. True, but they could work like horses- they spawn with different stats. It would only be food, armor, tools, and weapons anyways. After tons of pain inducing typing, I posted Custom Entities. Check it out! I really walked right into that. I know it's weird for me to request images over an idea that truly requires no images, but at the same time, I want to keep things painfully consistent. I don't want to add a thread to the hall of fame that "gets off by default", because that can cause someone to make an excuse over "oh well AThingWithAThing got away with that so that means I can to!" And I don't want those kind of arguments to come up. Another thing I should explain is that the images don't always mean just what the suggestion is, it could also include header titles and such, though you can just do that with plain text if you're crafty enough. I don't know if this is 100% locked in for the hall of fame yet, but it's extremely close to it, and I will give it some serious thought. The amount of usefulness for servers/adventure maps that your suggestion brings is unfathomable. And it's no secret that you spent hours organizing all this, so without a doubt you nailed down the "effort" requirement. Do you have a Reddit or Twitter account? You need to post this suggestion to them now! This is pure perfection and I have no words to describe the love of this idea. Seems like a perfectly good suggestion. True. I could just add a tag called SameDrop that if set to true, it would drop the block in the amount specified. Can someone create a banner? Preferably one that is different from the title picture.